I am gadget junkie. I love gadgets that make my eyes go wide with amazement when I see what it can accomplish. I looked through Time Magazine’s Best Inventions for 2007 just to whet my appetite. Everytime I look at inventions like these, I still can’t believe how amazingly intelligent and creative humans can be. Let me show you my favorites among all the amazing stuff humans have concocted in 2007. 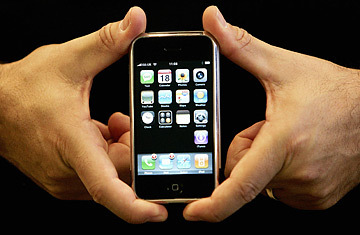 I will start off with Time’s Invention of the Year — the IPhone. I know. I was surprised too. How can this cellphone get the top award when it seems to be all hype? Time gave reasons why it was chosen and I will sum it all up as best I could. First reason is — it really looks good. I can’t argue with that. I love the colors of the screen and the design. The animations made by Apple on the interface is also cool. No other cellphone can top that. Next, it’s all touchscreen. It’s not the first time a gadget is equipped with this feature. But have you seen a cellphone with the whole interface controlled via touchscreen? Nope. And of course, it’s not just a cellphone — it’s a genuine hand-held computer inside an elegant glass and stainless steel case. You can actually install Google Maps where you really need it — on the palm of your hand. You can add so many nifty softwares in it with such cute and colorful icons. Finally, if this is just the first edition, can you imagine what the next upgrades will be like. I can’t wait. My next fave is for earth lovers. It’s Tata Motors’ air car. 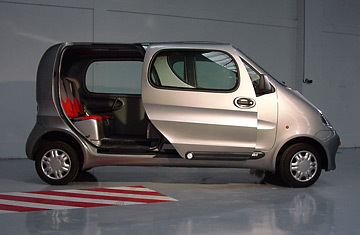 Tata Motors was contracted by French R&D firm, MDI, to manufacture compressed – air – technology vehicles. The cars will run on air and the only thing it emits is colder and cleaner air. Moreover, a built-in air compressor can be plugged in to refill the tanks within minutes. For those complaining about high fuel cost, you better hold your horses. The cars will be available by 2009 yet. Then we have the amazing Digital Water Pavilion. 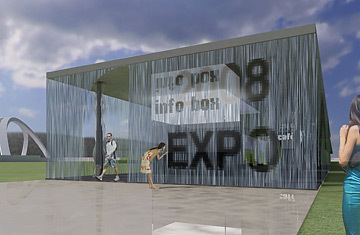 MIT’s SENSEable City Laboratory will build the Digital Water Pavilion for 2008’s Expo Zaragoza in Spain. The walls of the structure will be sheets of water flowing from computer – controlled nozzles that shape them into endlessly scrolling words and patterns. Talk about cool advertising! Wouldn’t it be cool to have a room like this at home? Portion of the room that is meant to be a door will sense when you are about to go out and stop water flow in that area. This is what I call innovation. There are several more in Time’s list like clothes that change color with your moods, the erasable paper that does not require ink and may be used several times over, Sony’s new HD handycams, and so on. For the inventors of those in the list, my hats off to all of you.